As a parent, you are the ultimate protector of your child, and you want the best possible medical care when your child has been diagnosed with cancer. The problem is managing your child’s condition can be overwhelming and you don’t know where to start. We understand how scary this must be. 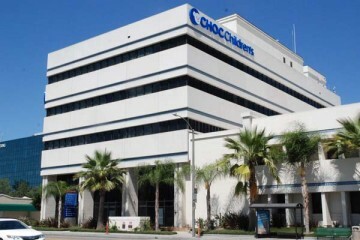 The Hyundai Cancer Institute at CHOC Children’s is a dedicated place for kids. Our team of board-certified oncologists and oncology-trained staff provide patients and families with the latest evidence-based cancer treatments. We provide comprehensive support programs that offer social, emotional and education support, and pediatric expertise, equipment and facilities. So you can rest assured you are getting your child the best possible medical care and feel like the protector that you are. Our treatment specific teams work to provide innovative, specialized programs for on-going diagnosis, management and treatment of pediatric cancers. Comprehensive support programs that provide social, emotional and educational support for patients and families. One-of-a-kind hospital experience with child life services, activities, special events and much more. Outstanding outpatient services, including a dedicated clinic, outpatient infusion center and radiation therapy center. Hyundai and CHOC Children’s: Partners in advancing the future of pediatric cancer treatment. For more than a decade, the cure rate for pediatric cancer has been stalled at about 80 percent. A multidisciplinary team of specialists at the Hyundai Cancer Institute at CHOC Children’s is working to find cures for the other 20 percent—and won’t stop until they do. Thanks to a gift in 2011 of $10 million from Hyundai Motor America, the largest corporate gift in CHOC’s history, Leonard Sender, M.D., medical director of the Cancer Institute, and his team are conducting cutting-edge genomic research to better understand cancers that occur in children and teenagers. In this video, Dr. Sender talks about the innovative treatments available at the Cancer Institute. Children’s cancers are very different than adult cancers and must be treated with specific pediatric cancer protocols. Our experience in exclusively treating children, teens and young adults makes us the experts in the evaluation and treatment of all forms of common childhood and adolescent cancers. Through our Children’s Oncology Group (COG) membership, the Cancer Institute has received a prestigious Phase I clinical trial designation, making us one of only 21 facilities in North America and the only hospital in the Southwestern United States offering COG’s groundbreaking alternative treatments. In addition to the very latest clinical trials, the Hyundai Cancer Institute is currently leading the way in pediatric cancer research. Learn more about clinical trials and our ground-breaking research studies. Children’s cancers are very different than adult cancers, and a range of unique issues need to be considered. Learn more about how we treat cancer in kids in this Health feature. Teen cancer patients face unique challenges when dealing with cancer. Doctors need to take into account self-esteem, emerging independence and side effects of treatment that can affect their future. Learn more in this Health feature. Orange County is one of the sunniest places in California, with hundreds of sun days per year. Learn about proper protection to prevent malignant melanoma in this Health feature. For more than a decade, the cure rate for pediatric cancer has been stalled at about 80 percent. A multidisciplinary team of specialists at the Hyundai Cancer Institute is working to find cures for the other 20 percent—and won’t stop until they do. Physicians at the Cancer Institute are immersed in such cutting-edge research as molecular and genetic profiling to find out what triggers rare diseases like JXG—and what can be done to cure them. The CHOC Children’s Infusionarium is the first program of its kind to combine immersive video technology with life-saving infusion therapy, such as chemotherapy or IV antibiotics. While many teenaged girls might balk at wearing a medical device on their shaved heads 18 hours a day, Abbey Schemmer didn’t blink an eye. To make an appointment for any of the services at the Hyundai Cancer Institute at CHOC Children's, please call 714-509-8636. Take a virtual tour of the Hyundai Cancer Institute in the new Bill Holmes tower, which provides a truly healing environment for our patients and families, plus a host of family amenities to make everyone feel at home. Our all-new, oncology unit in the Bill Holmes Tower is home to 28 private beds, play rooms, a private gym and other spaces created especially for our oncology patients and their families.